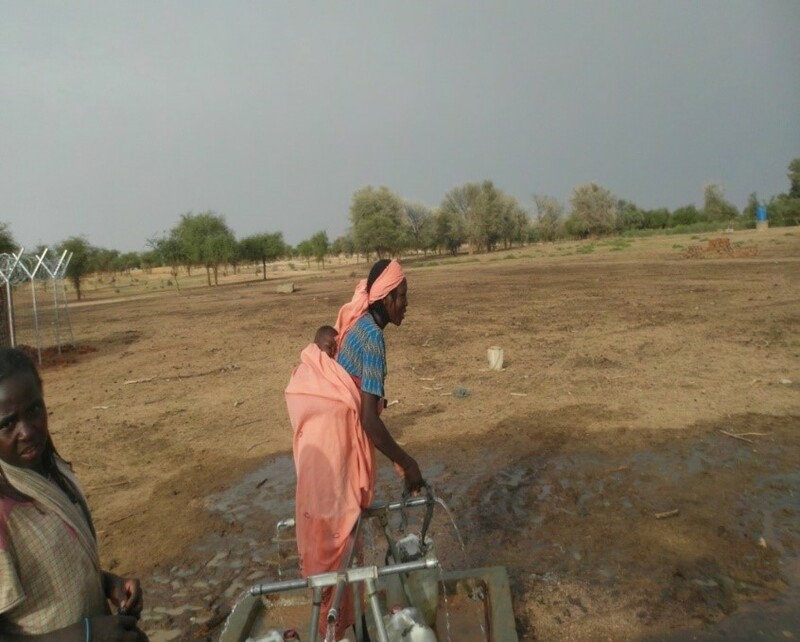 World Relief is on the ground in the midst of unstable communities in West Darfur, where the lack of natural resources can easily increase conflict between communities. Not only do we help to reconcile inter-communal conflict, but we also provide important resources like water, which can be lifesaving in cases like Batol Mohamed’s. Batol, a 34-year old mother of six, lives in Kongok village of West Darfur. Just one week after she delivered her youngest child in November 2014, conflict erupted when her village was attacked. The village was looted, homes were destroyed and Batol’s own family experienced the violence first-hand. While many chose to flee to safer areas, Batol stayed. She was concerned that if she left her home, both she and her child would get sick. So she remained in the village despite the conflict that was happening around her. Because so much had been destroyed and everyone had fled, Batol had to find a way to care for her family all on her own. And she had no water to cook and worried her family would go hungry – it’s dangerous to venture too far out of the village in search of water, because she had just given birth and some of the attackers remained close by. World Relief partners with local churches and organizations to empower the vulnerable to pursue peace and have access to tangible resources. To learn more about World Relief’s work to build peace and save lives in West Darfur, visit www.worldrelief.org/WagePeace. “I refuse to accept the view that mankind is so tragically bound to the starless midnight of racism and war that the bright daybreak of peace and brotherhood can never become a reality…I believe that unarmed truth and unconditional love will have the final word in reality.” - Dr. Martin Luther King, Jr.
War. Poverty. Hunger. Disease. Slavery. The times have changed since Dr. Martin Luther King, Jr. accepted the Nobel Peace Prize in 1964, but many of the same injustices remain. We read news headlines about conflict altering the lives of millions. More than 1 billion people in the world live on less than $1.25 a day. It’s estimated that 805 million don’t have enough to eat on a regular basis. 1.5 million children under the age of 5 died from vaccine-preventable diseases in 2008. And more than 20 million people are held in slavery today. These statistics seem grim, but as we remember MLK’s legacy this month, we also shed light on the hope that is changing the atmosphere and are surrounded by stories of peace and brotherhood. In word and deed, World Relief staff and volunteers work through local churches around the globe to make sure this hope is tangible. Whether it’s training local church leaders to peacefully resolve conflicts within their community in places like war-torn Democratic Republic of Congo or teaching farmers in Kenya new techniques that provide food and a sustainable income or helping survivors of human trafficking here in the US, we’re seeing justice spread like wildfire. There is still much to be done, but unarmed truth and unconditional love are in our midst and the movement for justice that began long ago is carrying on to completion.